(News story) Raymond S. Czerniakowski, a longtime firefighter with the Toledo Fire Department and active member in Toledo’s Catholic and veteran communities, died Sunday in Rosary Care Center in Sylvania. He was 92. He had been recovering from a fall and stroke, his son, Martin, said. Mr. Czerniakowski served in the Navy from 1943 to 1946 as a motor machinist’s mate on the USS Swasey in the North Atlantic. His skills were bolstered by a technical degree from the former Macomber Vocational High School. He served 31 years with the Toledo Fire Department starting in 1950. In three decades with the department, Mr. Czerniakowski worked for a time at Station 3 downtown, and several others across the city. Known for his kitchen prowess learned from his own father, Mr. Czerniakowski often cooked for fellow firefighters at his station. Mr. Czerniakowski was in the second wave to respond to the 1961 fire and explosion on the Anthony Wayne Trail that killed four Toledo firefighters and injured 71 people, his daughter said. He also worked part-time as a machinist for Alton Products during the 1960s and 1970s to help send his children to Catholic schools. A life of service – first in the military and later with the fire department and fraternal organizations – was forged in part by family and faith. That commitment was passed on, his son said, adding that Mr. Czerniakowski’s children and other relatives grew up to be teachers, police officers, and members of the military. Mr. Czerniakowski’s brother Albin worked for the Lucas County Board of Elections and his brother Joseph served on Toledo City Council in the 1960s. Mr. Czerniakowski was an active member at St. Charles Borromeo Church, where he coached youth sports and led various groups. He was a commander of the Catholic War Veterans Logsdon-Walla Post 639 and served in state leadership as well for the group. He was an officer of the Union of Poles in America Fraternal Organization locally and on its parent group’s board. While with the Catholic War Veterans, Mr. Czerniakowski strongly encouraged the then-bishop to establish the Monsignor Jerome E. Schmit Youth Endowment Fund, which provides scholarships for area Catholic students. Born to Stanley and Sophie Czerniakowski on Aug. 28, 1923, he grew up in a central city Polish neighborhood. He married the former Dorothy Kubacki on June 14, 1947. The two had grown up two blocks apart and met as high school students. She died in 1999. He and Barbara Hagen, spent 13 years together. Surviving are his sons, Martin and James; daughters, Barbara Sembach and Jeanne Drake; sister, Joanne Sochacki; six grandchildren, and three great-grandchildren. The funeral is at 10:30 a.m. today in St. Charles Borromeo Church. W.K. Sujkowski & Son Funeral Home is handling arrangements. The family suggests tributes to the Father John D. Kofflin Perpetual Memorial Fund or to the Monsignor Jerome E. Schmit Youth Endowment Fund. This is a news story by Lauren Lindstrom. Contact her at llindstrom@theblade.com, 419-724-6154, or on Twitter @lelindstrom. Ilene Rose McCarthy, age 92, of Toledo, passed away January 14, 2016 at Swan Creek Care Center. She was born July 28, 1923 in Guelph, Ontario to Frederick and Rose (Castle) Mason. Ilene was employed with Bell & Beckwith and retired from Owens Illinois. An avid card player, Ilene particularly enjoyed bridge, cribbage and euchre (“what’s trump?”). Ilene also enjoyed crocheting afghans for family and friends as well as traveling. Ilene is survived by her children, Eugene (Mickey) McCarthy, Theresa (Anthony) Lause, Deborah (Dennis) Noward, Cynthia (Craig) Edmonds; grandchildren, Daniel McCarthy, Erin McCarthy, Brian Lause, Patrick Lause, Jill Carrasco, Jacob Edmonds, Mitchell Edmonds, and Tess Edmonds, great-grandchildren, Jackson, Walker & Willis. In addition to her parents, Ilene was preceded in death by her husband, Eugene “Bud” McCarthy. The family will receive guests, Saturday, January 23, 2016 from 10:00 a.m. – 11:30 a.m. at Newcomer Funeral Home – SW Chapel, 4752 Heatherdowns Blvd. (419-381-1900). Funeral Services will begin Saturday at 11:30 a.m. at the funeral home. Interment will follow in Resurrection Cemetery. In lieu of flowers the family wishes contributions to Swan Creek Retirement Community or Senior Independence Hospice in Ilene’s memory. Joseph J. “Buddy” Swantack, died peacefully in his sleep on January 16, 2016, surrounded by his loving family. He was born January 28, 1928, in Toledo, Ohio. Buddy graduated from Central Catholic High School and the University of Toledo. Buddy proudly served his country in the U.S. Army during WWII from 1946-1947, as a Staff Sergeant. Upon returning home from overseas, he married Ethel “Ronnie” Vigyo. He was very proud of having sent their four children, Laura, Lynette, J.J. and Lizabeth, to private Catholic primary and secondary schools. 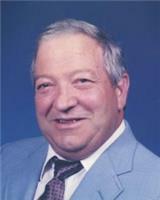 He worked as an insurance agent for Penn Mutual Life Insurance for nearly 50 years. After retiring from Penn Mutual, he worked in the Toledo Public School system as a substitute teacher, retiring in 2008. There are many fond memories including the family trips to Florida and Michigan, hunting for rabbit and pheasant with J.J. and Uncle Bob, fishing at the State Hospital and Three Meadows Pond, being on his hands and knees digging out the weeds in the lawn, the hiking trip to the Grand Tetons with Lynette, hanging out with friends at Raceway Park, and the daily trips to McDonald’s with Mom. He was an avid reader, he enjoyed tinkering in the Stock Market, he took an interest in others, and he really liked to talk and talk and talk. He was preceded in death by his parents, Joseph “Bud” and Mary Swantack. Buddy is survived by his wife, Ethel “Ronnie”; daughters, Laura Herroon (Bob), Lynette, Lizabeth (Mike Wilson); son, Joseph Jr. (Christine); grandchildren, Anna Jones (Kendal), Sarah, Joseph III (Alexis), Robert, Juney, Sammy, Beans, Robert Herroon and Tara Wilson; great-grandchildren, Sophia and Ava Swantack and Mirabel Jones. Friends may visit at the Sujkowski Funeral Home, 3838 Airport Hwy. on Thursday, January 28, 2016, from 3:00-7:00 p.m., with a Memorial Service beginning at 7:00 p.m.. Donations may be given to Hospice of Northwest Ohio. Gordon “Gordie” Pfleghaar, 79, died peacefully January 19, 2016, at Hospice of Northwest Ohio, Perrysburg, being lovingly touched and prayerfully comforted by his wife of 52 years and his six daughters. Born May 11, 1936, to Joseph and Henrietta (Brickner) Pfleghaar, Gordie was raised in Maumee and graduated from Maumee High School in 1955. Early in his marriage to Rose Boellner, he established his home in South Toledo. 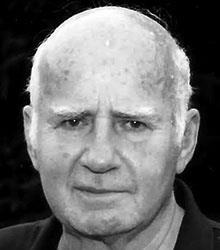 Gordie was a very active member of Our Lady of Perpetual Help Catholic Church. A heavy equipment operator, mechanic, and talented jack-of-all trades, he made major renovations over the years to his own home, and helped his sons-in-law with improvements to their homes until poor health relegated him to the role of head supervisor. Gordie enjoyed hunting, fishing, camping and observing life from his front porch. Treasuring his memory as they cherished him in life are his loving wife, Rosie; daughters, Dawn (Robert) Fink, Debra (Richard) Eyre, Julie (Ronald) Miller, Leah (Brent) McFry, Andrea (Mark) Kelly and Vicki Birkhahn; grandchildren, David, Kevin and Michael Fink, Stephanie and Brian (Nichole Wachter) Eyre, Jay (Cristen), Erin and Kelsey Miller, Makayla and Rebecca McFry, Corvion and Cory Kelly, and Heather, Ryan and Laurel Birkhahn; great-grandchildren, Roderic and Nolan Miller. Also surviving are brothers, James, Robert, Ronald (Kathy), Gerald (Beverly), David (Janet) and Daniel, and sisters, Dolores (Robert) Gardner, Ellen Dinkens, Sharon (Edwin) Cleghorn, Carol (Adrian) Carvalho and Diane Jenkins. In addition to his parents, he was preceded in death by his brother, Eugene. The family extends grateful thanks to all Hospice of Northwest Ohio staff and volunteers for their gracious care of Gordie and his loved ones.